Hotel Galvez will host a variety of children’s activities such as face painting, arts and crafts, educational exhibits and marionettes and puppeteers on the front lawn and at the hotel’s new Centennial Green outdoor space from 11 a.m. to 6 p.m. The hotel will offer a “Sweet Shoppe” area with candy, cookies, Italian ice and cupcakes in a soda shop-themed tent. Street entertainers will perform on the hotel grounds and five bands will perform live on a festival stage at nearby Beach Central from 11 a.m. to 9 p.m. The bands include: Judd Johnson Band, Lucky Tubb, Ezra Charles, Wayne “The Train” Hancock” and Radiostar. Beach Central will also offer food concessions for the public. 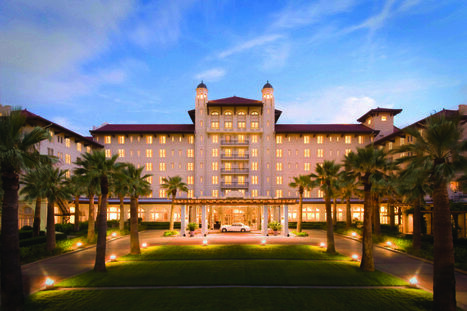 Hotel Galvez & Spa is the only historic beachfront hotel on the Texas Gulf Coast. In preparation for the hotels 100th anniversary, all Gulf facing windows will be replaced with operable, divided light windows reminiscent of the hotels original design.